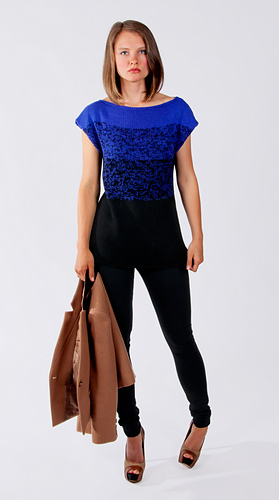 Play up two contrasting colors in Mix No. 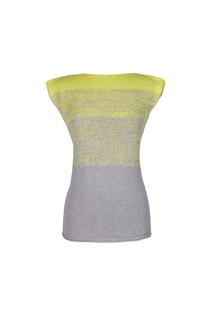 8, a luxurious sleeveless top with a cool gradient look. Knit with three strands of Cima held together, No. 8 achieves its unique ombre effect through gradual switching of colors. Plush and cozy, No. 8’s merino and alpaca blend is perfect for cool-weather wardrobes. A bright hue and a subtle neutral create a hip, youthful pairing, or try a combination of rich neutrals for a refined, elegant garment. This pattern is available as a single pattern in a printed version only from a local yarn store or online store that carries Shibui Knits line. Currently this pattern is not available in digital format.